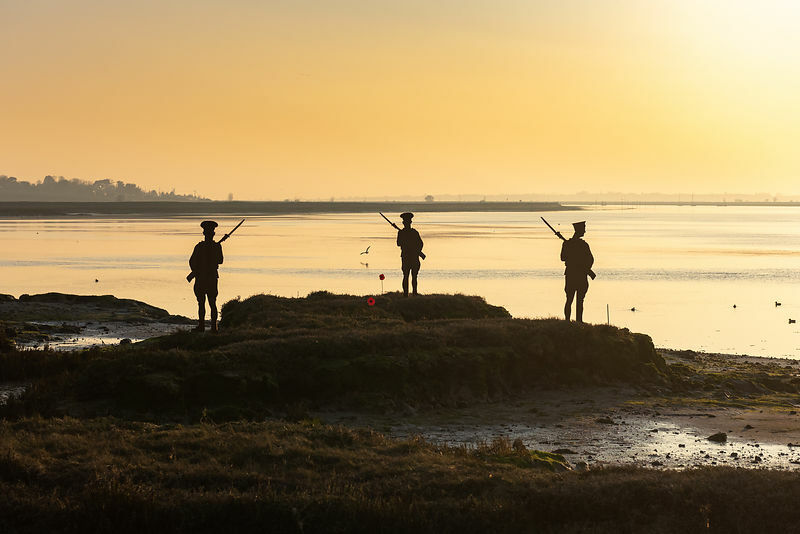 There are 51 metal cutouts along the Strood causeway at Mersea Island in Essex, representing local men who lost their lives while serving in the Army and Royal Navy in World War One. The soldiers and sailors, walking in order of their dates of death, represent six men from East Mersea, 39 from West Mersea and six from Peldon. The silhouettes were the work of islander Duncan Pittock and his daughter, Faith. Installed just before the centenary Armistice Day in 2018, the statues will remain in place for a year before being auctioned for charity.